Will they or won't they? Mutya Keisha Siobhan (aka MKS, aka the singers formally known as the original Sugababes, aka people who need get this group naming thing together) continue to have us ponder those questions as they meander around a comeback. 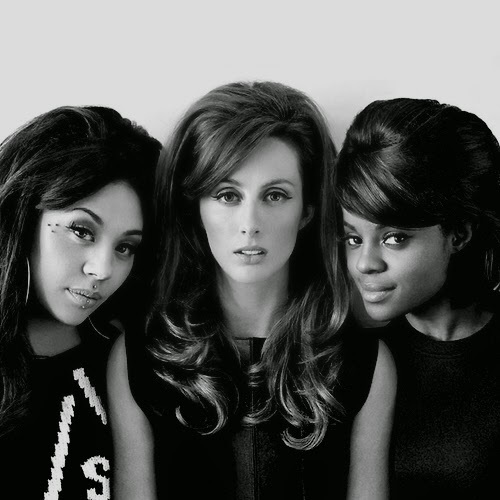 Rumors circulated last year that the Sugababe three were scrapping plans of a comeback after they got all of our hopes and dreams up with 2013's exceptional Dev Hynes-produced, "Flatline". Now they are back to poking with a brand new song entitled "Back In The Day". Dubbing the track their "TLC moment" "Back In The Day" samples Ahmad's 1994 single, "Back In The Day" (which was threaded into Mariah Carey's "Candy Bling"), but those are just minor details as MKS harmonize quite nicely as they recount how much they've individually have grown all while trying to put the past behind them, with some light tapping percussion and gospel tinged piano chords lighting their way. Mhmm...I do hear Fanmail-era TLC in this mid-tempo and that is always a good look. Reports have also surfaced that the trio have also in addtion to Hynes have put in studio time with Sia and Emeli Sandé as well, but it's still all speculation at this point. Seriously...what is with the wishy-washy, ladies?